3-rats has been hitting the Barra again. 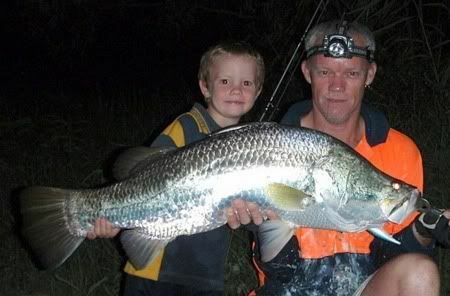 This time fishing with his son Luke and forum members 'Scott NthQld' and 'goingfishing'. 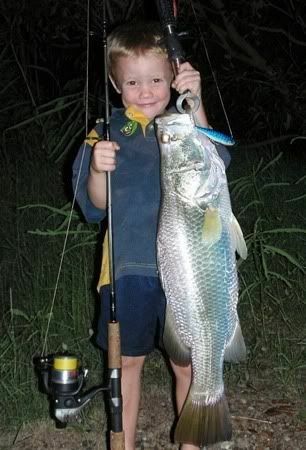 Again fishing easily accessible water not too far from town the young fella landed his biggest barra ever of 67cm. But later topped that with a whopping 94cm fish! The full story is in the forum, but here are the pics. 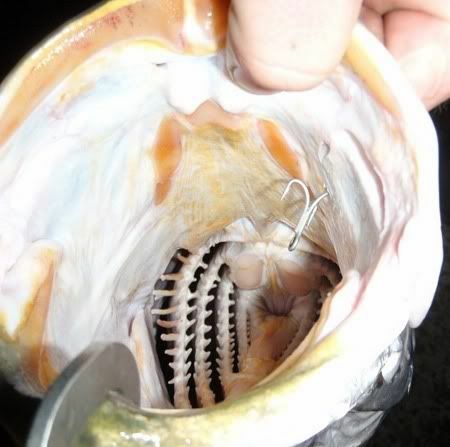 And here is a quick lesson on the power in the jaws of a Barra. 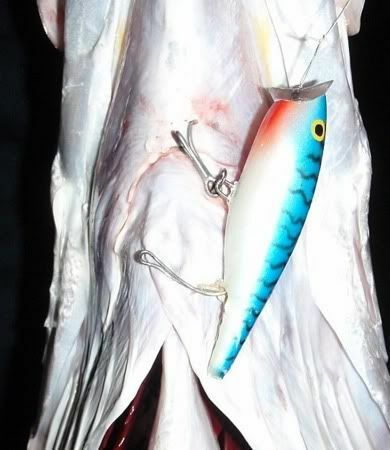 I have seen this before and it really emphasises the need to quality lures and hooks. This is the result of a barra getting one trebble in the top jaw and one in the bottom jaw. They then open their mouth and the lure buckles under the pressure pulling out the wire! 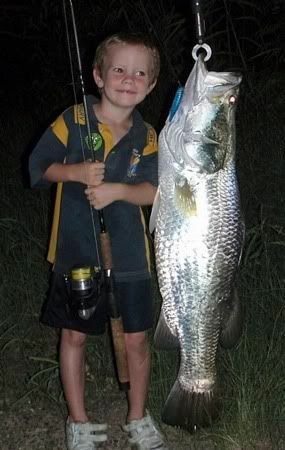 Luckily for Luke this one didn't cost him the fish!